Welcome :: Bhatnagar International School Powered By : Redox Systems Pvt. Ltd. Respected Principal Ms. Shilpa Bhatnagar was honored with the Award of Citation 'Inspiring Educator of Delhi'. Heartiest Congratulations. 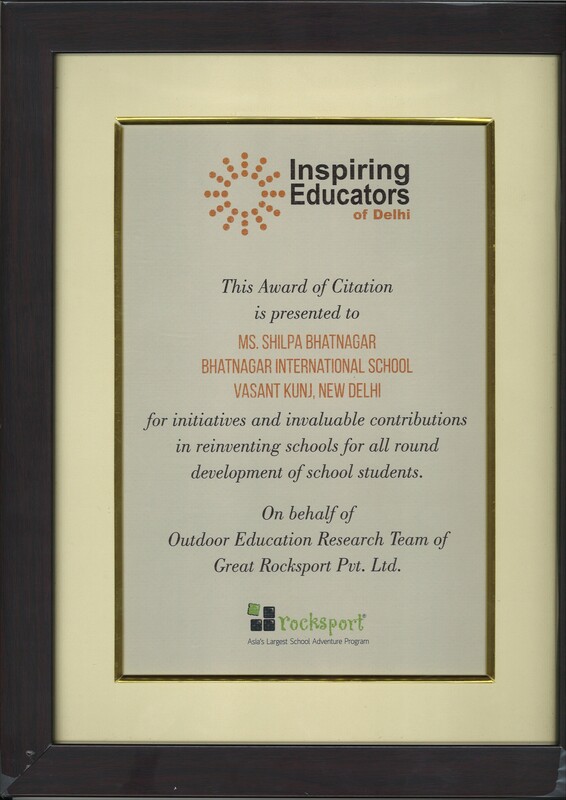 Ms. Shilpa Bhatnagar has been honored with the Award of Citation 'Inspiring Educator of Delhi' at Delhi Edition of Talk Series 'Re-inventing Schools'organised by Rocksport on 31st July at The Lalit, New Delhi. © Copyright 2016 : www.bhatnagarinternationalschool.in | Designed by : Redox Systems Pvt. Ltd.